So, after years in and out of development hell, a Firefly video game might exist. Announced under the radar of Comic-Con, this Firefly game will be a “Social-MMO” for Android and iOS. I’m as much a fan of Joss Whedon’s work as anyone else, and I’d jump at the opportunity to spend more time with the oft-dysfunctional crew of the Serenity, but count me surprised and somewhat cynical of the game. Right now, news of this project is yet another reminder of the main problem I have with licensed games: the mechanics of these games aren’t designed to promote the same aesthetics as that of the source material. Games are systems of rules and mechanics designed to create a certain emotional state, and distilling Firefly’s complex core appeal to a game system is very difficult. Even if the Firefly game looks and sounds like Firefly, it’ll utterly fail its audience if it doesn’t feel like Firefly. Many of the licensed games that fail do so because they are dishonest to the source material from a mechanical standpoint. Consider the awful Harry Potter shooter: the Harry Potter books and films were about the Campbellian Hero’s Journey and a child’s coming of age in an increasingly dark world. While Harry does indeed fight Death Eaters in the source material, the series is fundamentally not about fighting, Harry Potter is about growing up, and the shooter’s mechanics do nothing to promote that core theme. 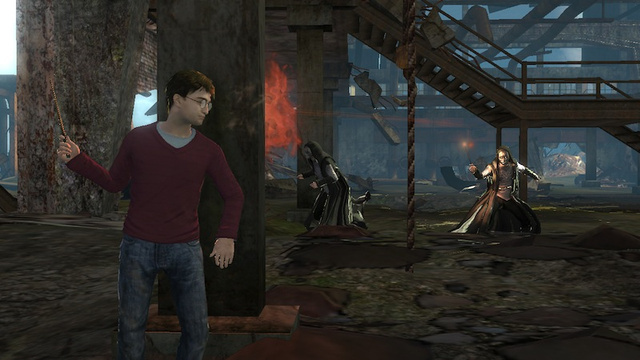 While some superficial worldbuilding elements do exist, like wands, apparition, and expelliarmus, misinterpreting Harry Potter as a high-octane action game exemplifies ludonarrative dissonance. No matter how much it looks like Harry Potter, this isn’t Harry Potter. Same goes with Ghostbusters, while the game’s sound and graphics were honest to the original film, the game’s design wasn’t. Ghostbusters was about a group of academic expatriates going into business; a goofy rags-to-riches story, the Ghostbusters start from nothing and eventually grow to become nationally famous and save the world, all whilst fighting off clumsy government regulation. Ghostbusters the game forgoes the film’s core theme of small-time entrepreneurship to focus solely on the singular act of wrangling down and capturing a ghost. While this is definitely something the Ghostbusters do, it is absolutely not the reason why people love Ghostbusters. People love Ghostbusters for its situational comedy, goofy characters, and charming narrative about small-business, not for the heart-pounding excitement of wrangling down a poltergeist. Which brings us to the Firefly MMO. When pitching the show, Joss Whedon described it as “nine people looking into the blackness of space and seeing nine different things”. That focus on characterization and relationships comprises the entirety of the show’s appeal, while the universe is imaginative and the battles exciting, worldbuilding and action aren’t the reasons people love Firefly, Firefly owes its popularity to the intense drama and cathartic comedy coming out of a near-dysfunctional crew of radically different and lovable characters. Fans treasure moments like Kaylee’s giddy excitement at the ball, or Jayne’s discovery that he has somehow become a legend amongst the people of Canton, not the intermittent shootouts that happen in each show. 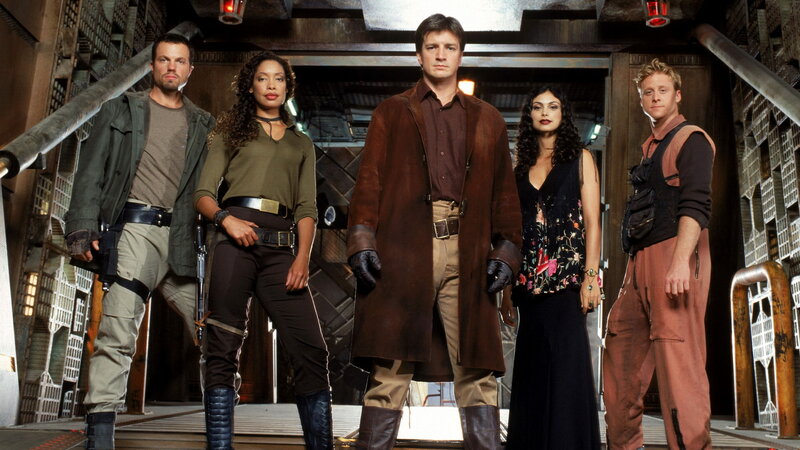 To adapt Firefly to a system of game mechanics and rules would necessitate replicating the same charming characterization and interpersonal relationships that make the show so appealing. Man, these people were awesome. This particular Firefly game is a “Social MMO” for Smartphones. I’m not exactly sure what that means, but I’ve had experience with both Social Facebook games and MMORPGs. “Social games” utilize Skinner-box design to facilitate social interaction in the form of using other people as a means to achieve personal progress in your farm or city. MMORPGs conversely reflect a narrative of capitalistic growth as players start from nothing and work up to great heights. Neither of these mechanics communicate what makes Firefly so appealing. I don’t know what mechanics would effectively translate Firefly‘s core appeals to an interactive format. Maybe an Inara Ren’py dating simulator? A FTL-like management sim for Wash and Kaylee? Maybe if we were to go nondigital, a Firefly-inspired tabletop RPG would work to systemize that great characterization and relationships, after all, Serenity’s crew is about as functional as my own Dungeons & Dragons group, right down to the crazy psychic whose antics endanger everyone (me). Perhaps a version of a game like Mass Effect 2 with more non-combat things to do for characters like Book or Simon, after all, the game’s episodic, television-like structure allowed for a very deep level of characterization, the conversation system allowing for relationship-building to be systemized effectively. Ultimately, whether or not the Firefly MMO is real, I take the news with trepidation. There is a lot of potential innovation out there in taking the diverse range of emotional experiences that film, literature, and television provides and translating them into game mechanics, heck, I secretly yearn for a Legend of Korra open-world RPG, the ethical implications of that show would make for an awesome morality-game. But when I see so many of these projects wind up terrible, I begin to think its something more than rushed production schedules and sparse budgeting, I think its a problem in the way studios approach game design. Excellent deconstruction of why Harry Potter and Ghostbusters had issues being converted to games. I’m trying to tamp down the overwhelming joy I hear whenever I think about piloting a Firefly through the ‘Verse, and this article is one that I hope the devs read. Great work on it, hopefully the game will live up to the quality of the show, and I’ll see you out in the Black.